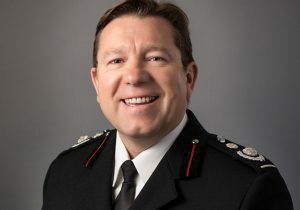 The new Deputy Chief Fire Officer of Hampshire Fire and Rescue Service and Isle of Wight Fire and Rescue Service will be Steve Apter, it has been announced. Currently London Fire Brigade Deputy Commissioner (Safety and Assurance) Steve has almost 30 years’ experience as a firefighter. He has been in command at incidents including the Westminster Bridge terror attack and the aftermath of Grenfell Tower. He is the national lead for the fire and rescue service on counter terrorism. Steve was previously Chief Fire Officer of the Isle of Wight Fire and Rescue Service and Assistant Chief Fire Officer of Hampshire. He has also worked on secondment as deputy chief of East Sussex Fire and Rescue Service to support its transformation and leadership development as well as taking on a government role to work on reformed inspection processes. Steve will take up the role later this year ahead of current DCFO Andy Bowers’ retirement in June.